Don’t delay applying to speak at HackConf 2019 - our Call for Speakers ends on April 30! What was the topic of your talk/workshop? What did you take away from the conference? "My workshop topic was "Django Rest Framework Workshop". It was the first time I held a workshop so it was both exciting and also a great experience. Speakers showed deep experience and understanding of their topics and presented them in an interesting way. It was really nice to hear talks on more general topics, especially with so many young people attending that have just started their experience in the tech world." 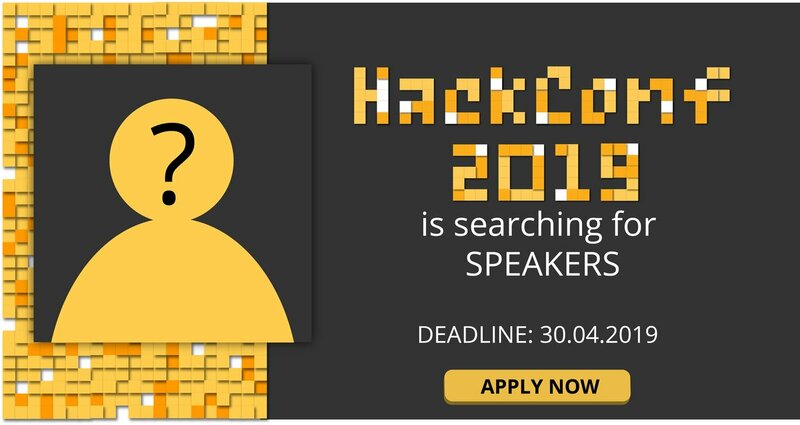 Why do you think people should apply to speak at HackConf 2019? "Because the event is less segregated than most of the other conferences out there - it's not only for front-end developers, Java developers, or QA engineers - it's for everyone, and that's a great opportunity to engage in discussion with people outside your regular audience." "Because HackConf does not put any constraints about topics, opinions and format of the lectures. You can say what you think. You may be wrong, but no one will forbid you to say it." What do you most enjoy about HackConf? "It is diverse, a lot of different topics, a lot of different people, with a lot of different backgrounds. It is a pleasant place to be." "I had a lovely time at HackConf last year, and have happily recommended that my friends speak or attend. The conference was great, and really well organized. Also, the talks were really good, but it was a really long day that ended in the evening - I know this year you're doing two tracks, so that might not be a problem now!" Can you leave some suggestions for first-time speakers? "Rehearse your talk, get some good sleep the night before, and remember that even if something goes wrong, the world ain't ending."